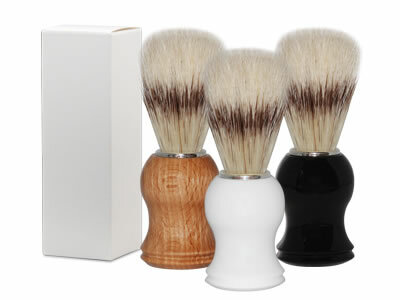 Shaving brush, Boar Bristled. Individually boxed. White, Black and Wood (new).